With racial tensions casting a pall over American football, rap mogul Diddy wants to buy the Carolina Panthers and become the first African American owner of an NFL team. The New York rapper, estimated by Forbes magazine to be worth $820 million, voiced his interest as Panthers owner and founder Jerry Richardson stepped down in the wake of sexual harassment allegations. “I would like to buy the @Panthers. 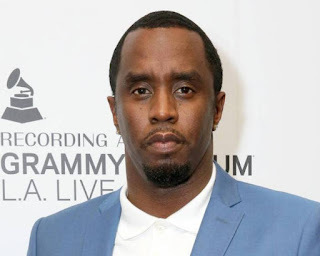 Spread the word,” tweeted Diddy, who is also known as Puff Daddy and whose real name is Sean Combs. After Diddy’s initial tweets late Sunday, two African American sporting stars said they wanted to join his bid — Colin Kaepernick and Steph Curry. Kaepernick, a former quarterback for the San Francisco 49ers, began a movement of players kneeling rather than holding their hearts during the national anthem as a protest against police brutality and other racial injustices in the United States. Kaepernick no longer has a job — retaliation, his supporters say, for his outspoken politics — and President Donald Trump has seized on the issue, demanding that owners punish athletes who do not stand for the anthem. Amid Trump’s attacks on the athletes, Curry, a history-making shooter for the Golden State Warriors, said he would not want to visit the White House with his NBA championship-winning team. While more than two-thirds of players in the National Football League are black, only one team has an owner who is an ethnic minority — the Jacksonville Jaguars, who are owned by Pakistani-born tycoon Shahid Khan. Only one team in all of professional sports has a black owner — the NBA’s Charlotte Hornets, whose controling interest is held by basketball legend Michael Jordan. Still, Diddy would face forbidding odds to buy the Panthers. The move would need approval from other NFL owners, some of whom might be loath to a deal that gives a role to Kaepernick. The hard-living Diddy has also had his own share of controversy, including his arrest on weapons charges after a 1999 shooting at a New York club, although he was acquitted. Diddy, 48, was ranked the world’s top-paid celebrity on the last Forbes list in June, raking in $130 million in the previous year. Outside of music, his business empire includes fashion lines and a stake in French-made Ciroc vodka.